The curvature of the paperboard is affected by the moisture content of the base paper. The nature and type of the paper are mainly adjusted by the preheating procedure, the amount of paste, and the tension of the preheating cylinder. (1) The water in the paper is too high (2) The paper moisture is insufficiently preheated; (3) The amount of paper in the paper is too large; (4) The paper brake tension in the gluing machine is too small, and the temperature of the triple preheat cylinder is insufficient (5) The surface paper brake tension is too high, the triple warm-up cylinder paper is too warm; (6) the surface paper is too small; (7) the hot plate temperature is too high; (8) the canvas pressure is too low (9) The speed is too slow. (1) The brake pressure is too high for gluing machine A and B. (2) The face paper brake rifling is too low. The reason is opposite to bending up and down. (1) The squeegee A, B, etc. are not parallel, resulting in uneven paper force; (2) uneven paper moisture; (3) face paper brake tension is too high. (1) Uneven paper paste; (2) Uneven water in the paper; (3) Parallel adjustment of the paper is not in place; (4) Uneven paste on the paper; (5) Uneven water on the paper (6) Face paper parallelism adjustment is not in place. 1. 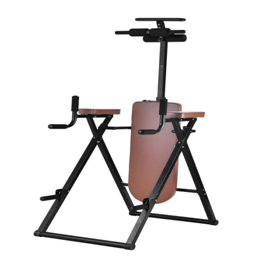 Causes of Scratches and Ribs: Mainly due to the fact that the hot plate has not been adjusted in parallel and the height of the previous piece between the two hot plates is lower than the height of the next piece. (1) The physical properties of the base paper are not up to standard; (2) the amount of paste is too large; (3) the hot plate wears (high and low); (4) the core paper has a high and low enthalpy phenomenon; (5) the surface paper has too much force and the heat is too high. (1) The press pressure of the gluing machine is too low; (2) the paste is too large; (3) the canvas pressure is too low; (4) the amount of caustic so much is too strong to cause penetration. In the second section above, the causes of some defective products were listed, mainly including various factors such as machinery, raw materials, and technology. Then, in this section, how are some common defective products technically concerned? Prevent and solve. To solve the poor adhesion from the following aspects: 1, paste production; 2, steam supply; 3, mechanical control. As long as you have mastered these three aspects of the operation method, you can basically solve the problem of poor adhesion. 1. Paste problem: The quality of the paste has played an absolutely important role in the quality of the paperboard. Therefore, the relevant personnel must fully grasp the paste making method and the ratio of the raw material, and timely adjust the required bonding of the paperboard. Gelatinization temperature and viscosity. (1) The steam supply is directly related to the speed of the corrugated board production line and the width of the paper. The faster the vehicle speed, the wider the paper web and the greater the required steam supply, that is, the higher the steam supply pressure, and vice versa. In general: The vehicle speed is less than 100 meters/minute, the steam pressure is 8-11KG/CM2, the vehicle speed is less than 100-180 meters/minute, the steam pressure is 11-14KG/CM2, the speed is more than 180 meters/minute The steam pressure must be maintained at 15KG/CM2 or higher, so that the cardboard can be well-bonded without wasting resources. A. Steam inlet and condensate recovery pipes (including inlet and recovery metal hoses) should be installed properly and smoothly. B. Keep all the drying straws intact, no wear, no leakage of steam in all piping and interface valves. C, water unloader, check valve, interface valve is not installed, and maintain good condition.